Vitamin E TENS Lotion is enriched with vitamins E, A, D, sunflower and sesame oils, and other natural ingredients. Our lightly scented and dye-free formula relieves minor skin irritations, chapping, sunburn and dry itching skin. 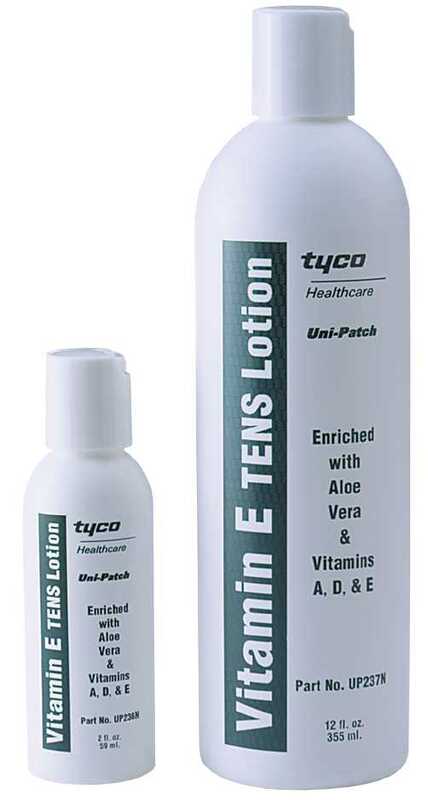 Vitamin E TENS Lotion replenishes lost moisture and is perfect for all skin types.